Fragile China / Dishes: When making a long distance or local move fragile china and dishes should be properly packed. The proper box for packing fragile china and dishes is called a Dish-Pack the dimensions are 18” x 18” x 30”. Make sure to wrap each item in either packing paper or bubble wrap. Dishes are stronger when packed vertically, standing on edge. Make sure to layer the box, and use generous amounts of packing paper or bubble wrap between each layer. Make sure to fill the box approximately 3 inches to the top, leaving room at the top to put generous amounts of packing paper, crumbled and coming over the top edge of the box. Once you have a generous cushion on the top gently push down on the flaps of the box and seal tight with packing tape. Keep in mind to pack heaviest and largest dishes on the bottom. Once a Dish-Pack is properly packed it should weigh approximately 40 – 60 lbs. Movers will be able to move these packed boxes around with hand trucks also called moving dollies. These are referred to as 3.0 or 4.5 size boxes by movers. When packing these items make sure to fully pack the box all the way to the top evenly distributing the weight of the items throughout the box. When you get to the top gently fold down the 4 flaps of the moving box and seal it tight with movers packing tape. Books / CD’s / DVD’s / File papers: These items should be packed in a small sturdy box, usually referred to as a book box or in movers terms a 1.5 or small box. When packing these items, make sure the weight is evenly distributed and the box is completely full. Once the moving box is full to the very top, close down the 4 flaps of the moving box and seal with movers packing tape. Pictures & Paintings: It is best to have a professional mover pack pictures and paintings. If you decide to take on the task of packing these items on your own, you should bubble wrap the entire painting and then place it in a picture box, also known by professional movers as mirror packs. In some cases of expensive artwork, you will want to purchase special paper to wrap around the oil on canvas before bubble wrapping to ensure the artwork does not get damaged by the oils in the paint sticking to the bubble wrap. Again this should be advised by your professional moving team. 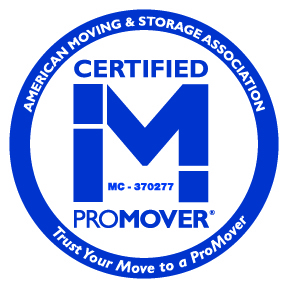 Most moving companies will want to make sure they are packing pictures & paintings on long distance moving & moves into storage.